The mighty Mekong spreads into tentacles and tributaries in southern Vietnam, making the delta fertile and the region one of Vietnam's highest producers of rice, vegetables, and fruits. Cycling through rice paddies, orchards, along and over a myriad of small irrigation canals will let you see a unique area of Vietnam. We ride from village to village, boarding a few boats along the way, to give you an up-close perspective of Vietnamese life on the river. Take in the Phong Dien floating market before heading back to Saigon. Transfer out of bustling Saigon to Cai Lay, where we begin our ride to Cai Be, the gateway to the Mekong Delta. We cycle down narrow lanes, over canals and past banana plantations to our overnight at a homestay. 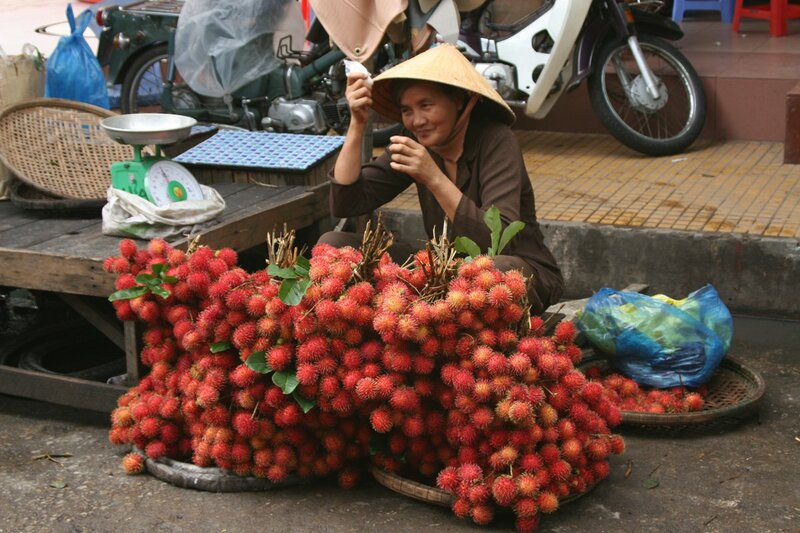 Catch a boat to one of the Mekong islands and bike along narrow dirt tracks and trails. Witness colorful riverside life while pedaling past picturesque delta homes, and clack across innumerable wooden bridges to the Khmer town of Tra Vinh. There is plenty to observe today - fishermen, village life, temples - as we cycle scenic roads, crossing many small bridges, to Can Tho. There are many Khmer temples to visit en route as well as Ba Om Pond with its magnificent lotus flowers. Spend the morning riding to Phong Dien Floating Market and weave through this bustling place along the banks of an active riverfront. Absorb the sights of endless cottage industries before we lunch and transfer back to Saigon. We really enjoyed the guides and driver, They all really went out of their way to accommodate and tailor the trip to our needs and desires. SpiceRoads managed to provide a guide on my solo trip who was sheer pleasure to spend 15-16 hours per day with. Please take well care of the guide, Lam, who is a very nice person and excellent guide. I have only good things to say about him. Tan, our guide was superb at navigating his way road the country lanes. We had a wonderful mixture of cycling, visiting local people, stopping at local businesses and great food. It all worked wonderfully well, Tan was great. The cycling is on a mixture of well-surfaced roads and the option to go off road onto single track. An air-conditioned bus will travel behind the group to support us. On the occasions when it is impossible for the bus to follow, our guide follows behind on a motorcycle. Participants can cycle as much or as little as they like and still enjoy the same views as the rest of the group. Suitability: The daily distances are not too long and the terrain is gentle so this trip is suitable for most people, but it’s advisable to have a modicum of fitness to enjoy the riding! Fast cyclists can ride at their own pace, as detailed directions are available from the leader. Weave through the teeming early morning market bustle along the banks of an active riverfront. Ride on a narrow paved road to Phong Dien floating market, absorbing the sights of endless cottage industries, timber merchants, coconut shredders and small docks loading/unloading rice. Continue by bike on the narrow lane and loop round to the main road. Ride to O Mon or Binh Thuy. Lunch in local restaurant in town. Return to the hotel, check out and drive four hours back to your hotel in Saigon.